Back when Parker’s property was a dairy farm, there was a farm pond that has become a wet area filled with multi flora roses and reeds. The School’s Facilities Committee along with Planet Parker Coordinator Jamie Crouse and science teacher Kate Perry are working to restore it as a science pond. They have scouted the area, consulted with County Soil and Water, procured permits, had the land surveyed and have engineered a half-acre pond. All that awaits is the actual dig that is scheduled to be completed late this fall. 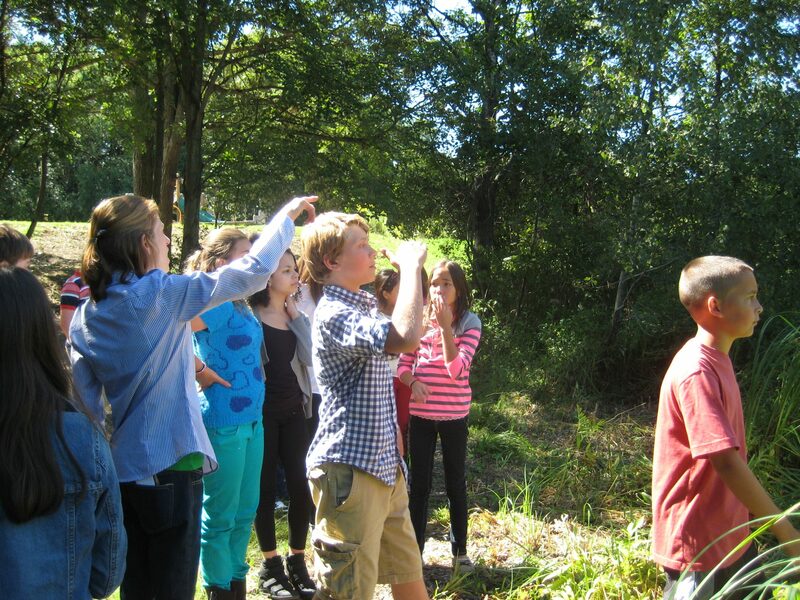 Students have used the pond site as a living lab for observation and study. 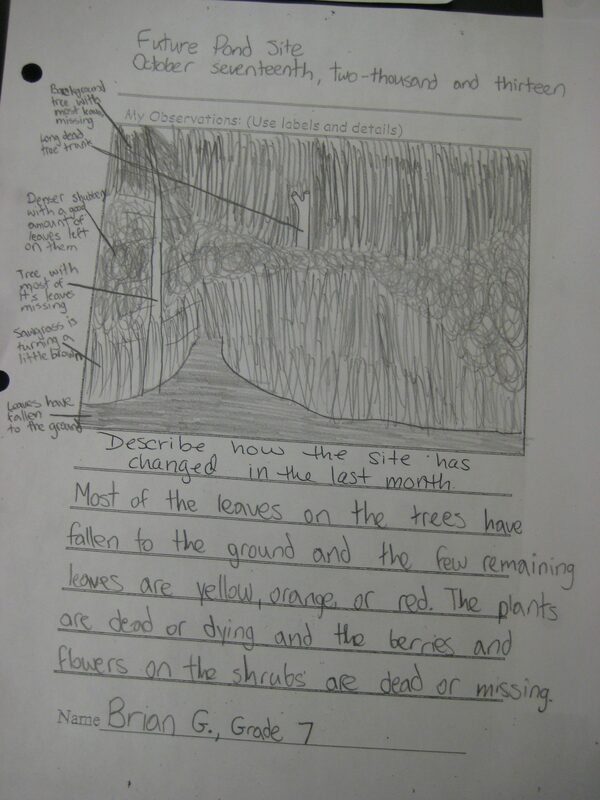 They are recording the features of the present site and will track the changes that human intervention will bring. Ponds provide essential resources and habitats for both terrestrial and aquatic life. Restoring the pond will give Parker a wonderful resource for the school’s Clean Water Advocacy Program that includes the Hudson River and the wetlands and creeks on the school’s campus.